In the fifth installment of Chronicle of a caged journalist, Egyptian war correspondent Yehia Ghanem tells the stories of those he’s met while covering wars in Afghanistan, Bosnia and the Democratic Republic of Congo. During the second half of the 20th century, Arab political groups were at the forefront of the battle against tyrannical regimes. 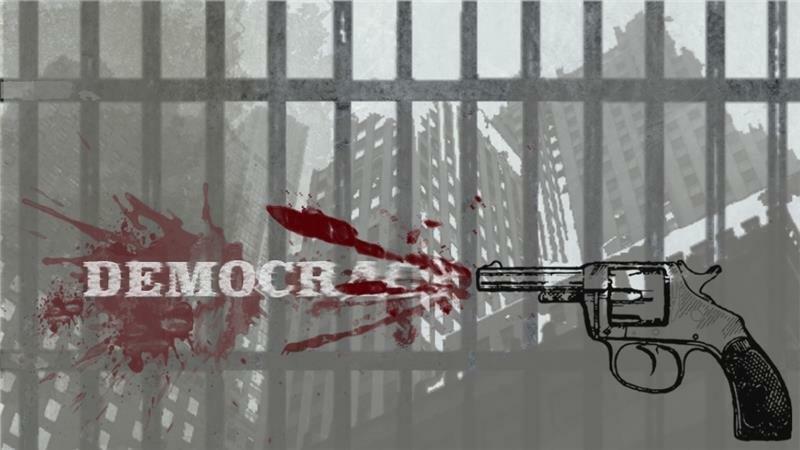 Our societies had come to understand that democracy, peaceful transitions of power, transparency and political and financial accountability were out of reach as long as the dictators were in power. Many concluded that the only way to force these obstinate dictators from power was through violence. Yet this unintentionally offered those same dictators a new lifeline on to which they could cling. They were able to use this threat of violence as evidence to be presented to the West that they were engaged in a war against “terrorists” in their own countries. There were two main groups leading the Arab struggle for freedom and democracy: the leftists and the Muslim Brotherhood. During the 1950s, 1960s and 1970s, it was easy for Arab regimes to discredit the leftists by branding them communists. In truth, many had no connection to that political creed. But when Arab dictators sought to present this as a battle to halt the spread of communism to the Middle East, the truth didn’t matter much. The Muslim Brotherhood proved more frustrating – particularly when it adopted more peaceful sociopolitical methods to achieve its aims, thus removing the dictators’ ability to discredit them and occupy the moral high ground. Still, at this time, neither the more violent Islamist groups nor the Muslim Brotherhood viewed the United States as its enemy. For them, that was to be found on the eastern front in the form of the irreligious Soviet Union. The West, led by the US, was considered to be at peace with Muslims. After the Soviet Union invaded Afghanistan in 1979, it presented an opportunity for Washington to finish off the “evil empire”, as US President Ronald Reagan labelled it in 1983. It also allowed the US to settle some past political debts and to repay Moscow for turning Vietnam into a war of attrition. The dictatorial regimes in Arab countries – most of whom were by then allied with the US – found in this a way to serve their new chaperone. They began to loosen their security grip on local Islamist groups, encouraging them to go to Afghanistan, where they could fight against the Soviets. It served a double function: redirecting the efforts of these groups away from their own countries and proving their value to the US in the battle against a common enemy. Arab fighters in Afghanistan – the majority of whom were Egyptian – played a key role in the war. But when the Soviets began to withdraw in 1989, these Mujahedeen, as they were known, were thrown into flux. For a decade they had been absorbed into Afghan society, but their main reason for being there had suddenly been removed. Their mission had been successfully completed, but they were facing a crisis of identity. Naturally, they began to look back towards their homelands, where the same, unelected dictators remained in power and their objectives were far from fulfilled. They began to receive signals from the regimes in their own countries that they were no longer welcome to return. It was around this time that their animosity began to shift away from the Soviet Union and towards the US, who had backed them during the war in Afghanistan. As the US continued to support the dictators who ruled their own countries, these Arabs began to wonder if they had not been fighting a war against the Soviets so much as a crusade on behalf of the US.